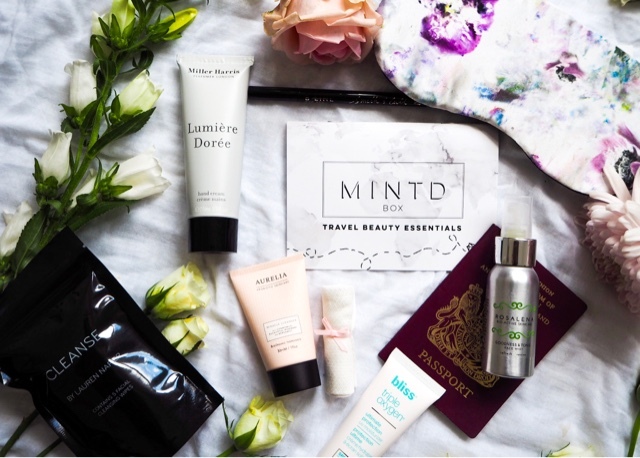 Summer calls for travels, far and wide for adventure and beach escapes, suitcases packed with summer sun essentials, such as swim and holiday wear, we can then overload our bags, with all beauty potions and lotions, but all in a small box from the darling MINTD team, they bring you everything you need with this month's Travel Beauty Essentials box. Aurelia is a brand I have heard of but yet one I've had the pleasure to try, so was extremely pleased to find it nestled in this months MINTD box. 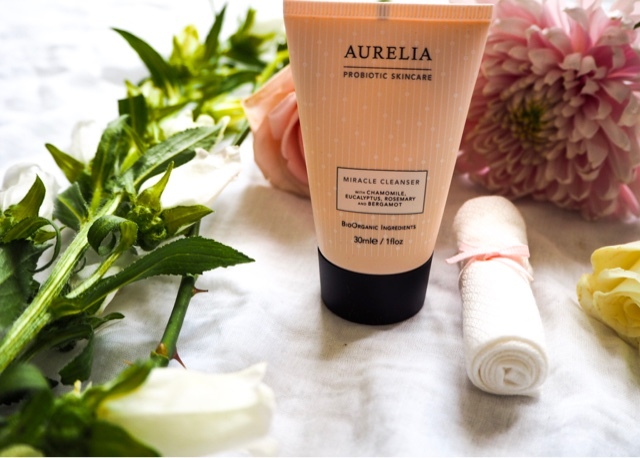 The Aurelia Probiotic Miracle Cleanser is rich and glides over your face, it is bursting with botanicals which give you an instant refreshing uplift and is something you would certainly need to help relax and invigorate you on your travels. The cleanser, which is massaged into dry skin, works its magic and lifts the day's impurities, to even removal of that stubborn mascara. It comes with a bamboo muslin cloth, which helps exfoliate your skin, the kinder, softer way! Once dampened, hands down, my skin looked brighter, glowing even and boy did it feel softer. I have to say, I did let the cleanser sit for about 30 seconds, once massaged in, just to make sure it helped break down the day's pollutants, plus I didn't want to wipe away the beautiful smell of the chamomile, eucalyptus, rosemary and bergamont dancing all over my face. Overall it is a darling cleanser, one that I will certainly restock again, this super deluxe 30ml size is £14.00 and it is certainly a wondrous miracle. 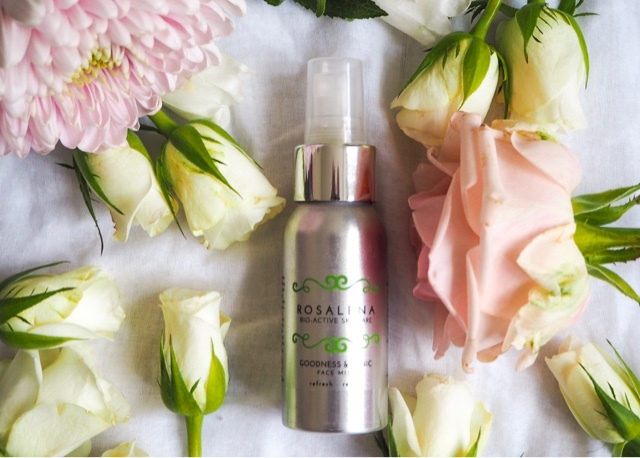 Rosalena, you have probably heard me rave about their face oils which you can find out about here. Now, this little full sized gem, Goodness & Tonic Face Mist priced at £22.00 is shamazing, be you are flying, walking, driving, tubing, biking whatevs! This little beauty is true perfection, all tightly filled in this beautiful chrome bottle! Now, this face mist is made with bio-actives and 100% pure plant ingredients, which helps tighten and brighten skin. It has a multi-functional purpose, be it to rejuvenate tired skin, keep your skin rehydrated from all that travelling, a primer, heck just to be kept cool whilst relaxing on the beach, even my toddler loves it and I'm not just saying it, but I know you will too. Now time to relax and unwind, we all need a little r&r if you have children or not, your going to need to unwind and get a few winks in whilst travelling and what better way to help you drift off into the land of nod than with Stephie Ann's, Anemone Silk Eye Mask. 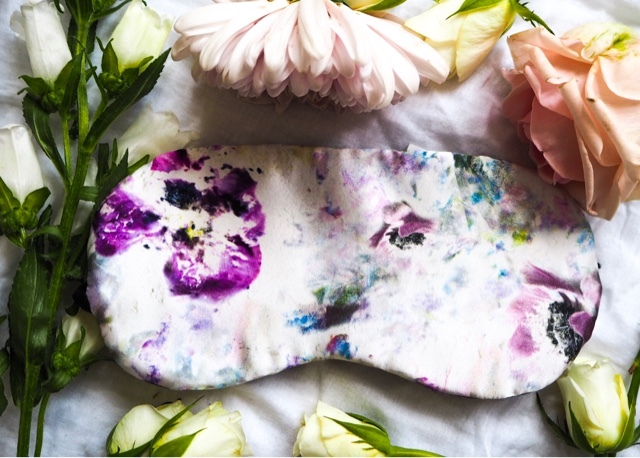 This luxurious lavender eye mask will automatically relax your mind, body and soul. £23.00. Now before you hit the summer sun, or after a glorious swim, your skin is going to need some protection. 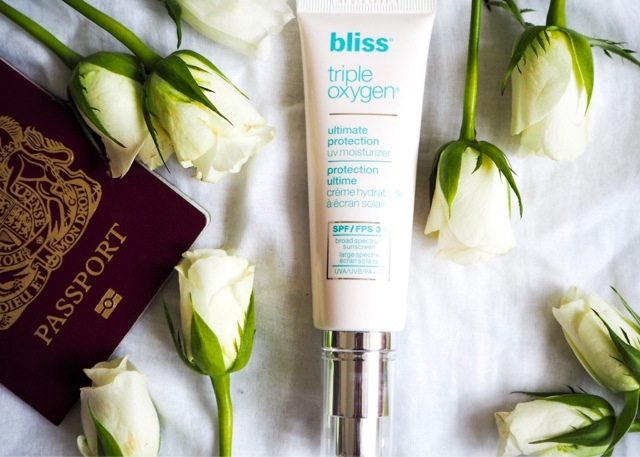 Bliss Triple Oxygen, Ultimate Protection UV Moisturiser does just that. This full sized moisturiser priced at £35.00 is a thick skin protector with an SPF of 33, it also helps repair past damage with a little help of the Green Tea ingredient and the Grapeseed Extract for help against elastin breakdown, whilst the White Lily extract helps soothe and hydrate your skin. What more could you want from a moisturiser, well a little bit more and Bliss Triple Oxygen, give you one more divine treat, yep they truly deliver.......The smell! I kid you not it smells like orange blossom it is super intense and a truly heavenly treat for your body. It totally boasts summer in a bottle and will certainly have you feeling holiday ready. Face, Body and Mind all taken care of, MINTD will not forget your precious hands. You may remember last month's Holiday Prep box where I spoke about Miller Harris, Lumiere Doree Body Wash. Well this month, the lovelies at MINTD have enclosed Miller Harris, Hand Cream from the same collection, Lumiere Doree. This full sized £18.00 hand cream is paraben free, rich in texture and smells just as heavenly and scent last just as long as the body wash.
Be it stepping into the heat, dipping your toes into the ocean, Smith & Cult, B-Line Eye Pen in Black is a water resistant, quick dry, long lasting eye liner. It tapered felt tip, means you can get super close to the lash line and is super easy to apply which gives you a dramatic look for day or night. You can bag this beauty for £21.00 at Net-A-Porter. 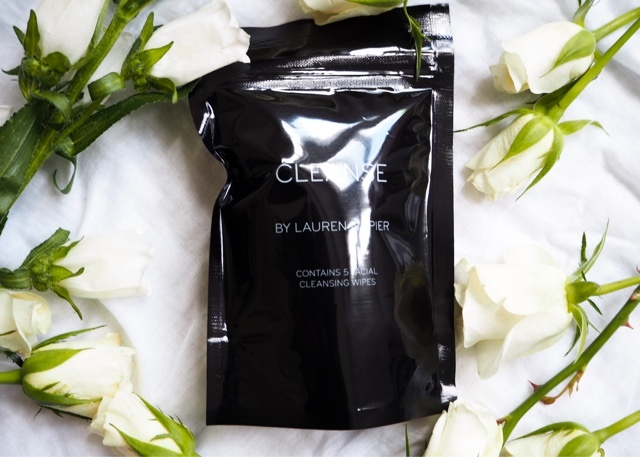 Another travel beauty essential include, Cleanse By Lauren Naiper-5 Facial Wipes. A brand thanks to MINTD that I am loving and keep close to my heart! This Hypoallergenic, dermatologist tested, wipes are perfect for those like me who wear contact lenses are perfect to keep in your beach bag, to help cleanse your face, neck and not to forget décolletage, which keeps you cool and skin soothed with the help of Aloe, Chamomilla and Cucumber extract, plus removes makeup, oil and the days impurities, as well as leaving your skin looking brighter, hydrated and refreshed. Plus it is great for those long journeys for a nice refreshing feel, costing £8.00. 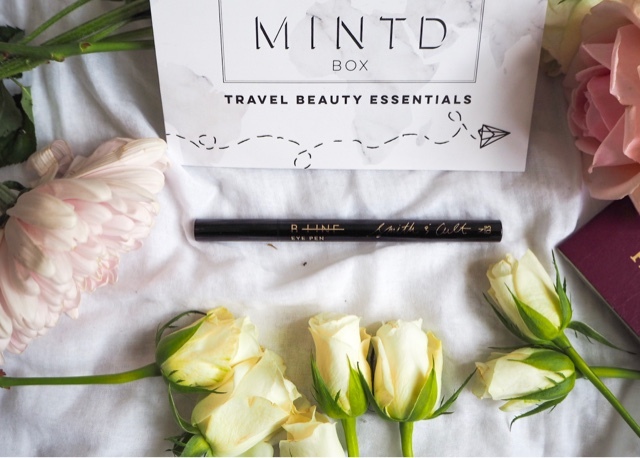 Overall I am super delighted with this month's Travel Beauty Essential box, it is a great way to discover and try new products, for £65.00. A whopping £77.00 so more money to spend on your travels. As an added bonus well two in fact, if this is your first box enter promo code WELCOME17 for FREE Worldwide shipping and if you sign up for 3, 6 or 12 months, you will get a lovely surprise from Argentum-Illuminating Hydrating Bar worth £104.00! Which of these products would you like to try? Do you have any Travel Beauty Essentials?